Accordingly, more than 10,000 doctor fishes called Garra Rufa - a fish is popularly used in massage services, have been removed from Turkey to Toi Cave to serve for foot massage at this tourist site. 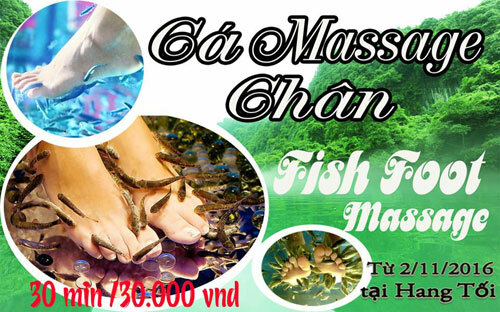 This fish foot massage will bring a high effectiveness in reducing stress. Garra Rufa will help visitors feel refreshing, exciting, stimulating their nervous system, making better blood circulation as well as relieving stress and fatigue.